This is the drawing of my first try of a tattoo. i wanted to join some of the elements from some cool tats and make one which i want to get. Hope you guys dont mind. I know its been like 10 years and I don’t know if you still use this site, might be a long shot but i love this design as much as i did back then like i do now. Would you mind of i use this design as inspiration for a tattoo idea i have in mind. It will probably won’t look exactly like this but I figured I should ask. I'm not quite sure why this drawing is getting so much attention. I'm very confused. There are far better examples of this type of boring "skull falls into a flower bed and looks happy happy happy" on Deviant...Why can't artist show some originality? Oh and erase all your smudges and load a clean piece of art...thanks! Hi, yeah sure. My name is Richard Blackburn. Glad you like it. heya, we want to use this for our logo, we put on psychobilly shows, would that be possible, and would you be able to send us a high res version? hey! i got this on tattoo! i hope you dont mind, great design! Na i don't mind, would love to see it. Great, would love to see it. Na i cant see them. this is awesome! details and shading are perfect. did you ever get it tatted? very nice. Set up very nicely. You actually stole this from another amazing tattoo artist. If you notice i uploaded this in 2008. and that video was uploaded onto youtube in october this year (2010). Are you serious? utilizzo uploaded it in 2008 and the Youtube user uploaded it in 2010. So how did he steal it? Did he somehow jump two years into the future and copy it? No, the Youtube user copied utilizzo. i dont know if you still come on but i have to say i loved this so much i got it tattooed on my upper arm and im adding to it for a full sleeve. it looks brutal and is a strong work of art. So... If i asked could you redo this with just simple line art could you do it ? Just wondering.. Because I really like this and I have a row of tatts down my back and only do black and white with no shading. This is amazing, good job! Would you mind if i got this as a tattoo? dude.. this is awesome! can i try to draw this? 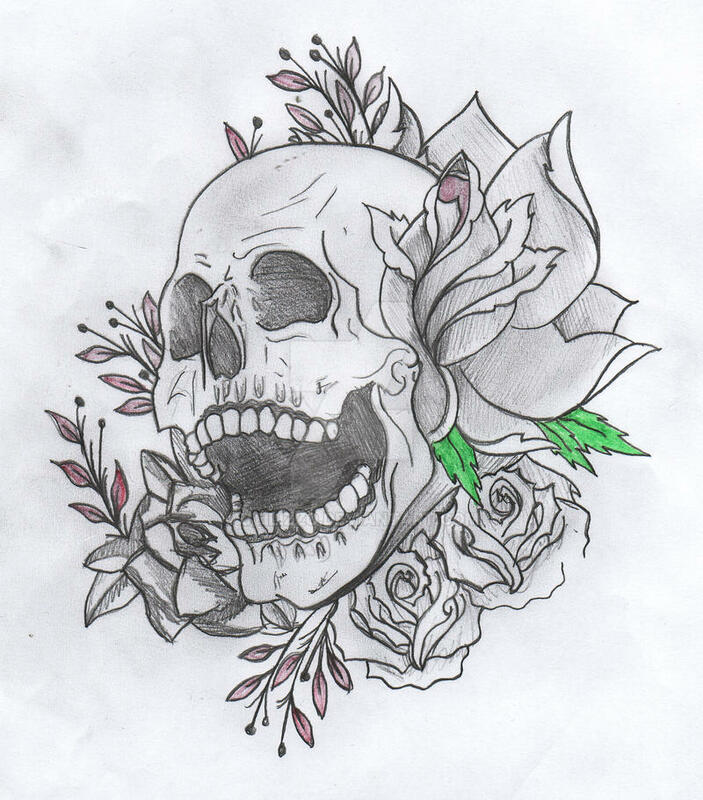 this looks so right for a tattoo, can i get it done? i like the roses and the plants. that's mad, is it okay if i play around with it? I like this alot reminds me of my tattoo I got very cool. Very, very cool! Love it. would you mind if i got this tattooed to me?